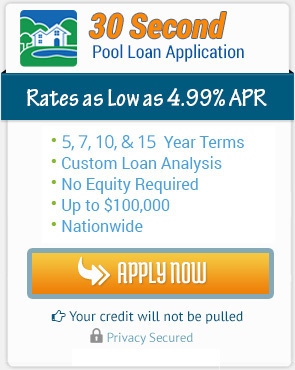 Can’t afford or don’t have the room for an inground pool but want to get cooled off during the summer? Get an above ground pool. You can have just as much fun in the sun as having an inground pool. We have lots of sizes to choose from starting at 12′ all the way to 30′ round. We also have oval pools as well. 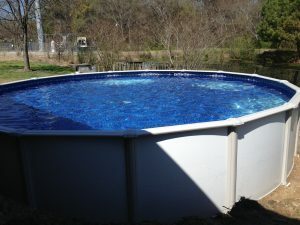 All of our Sumter, SC above ground pools are 52″ tall. Once the pools are delivered they are up in 1 to 2 days depending on circumstances. Once you decide where you want it, we start by removing the grass and leveling the ground. Once that is complete, we put the pool up, plumb it, and hang the liner. We include the main drain and more with all of our pools. Go ahead, give us a call today to see what we have to offer. and workmanship possible. You, the customer are very important to us. We want to be the most trusted and dependable pool company for above ground pools by being on time and doing a great job. We will be on time or we will call you ahead and explain why we are going to be late. We will never leave you hanging. Remember, we aren’t around just before and during the sale but after. 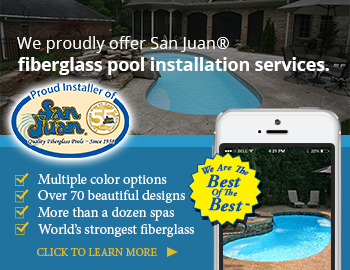 We are always here to answer any questions or concerns and to show you how to take care of your new pool. If you decide not to clean your own pool, give us a call to set up a cleaning schedule with us. Great news… we do not require you to sign a contract for pool cleanings, but you just pay us the first of each month for that months cleaning.